You lock yourself out of your home, strand in a cold night looking for help. By checking the locks and the windows of your house, nothing is open get you back in your home. No friend or family around and no available locksmith to come to your aid. 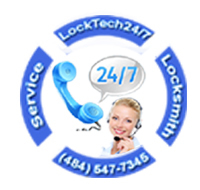 LockTech24/7 locksmith is here, ready for your call. We are available 24 hours 7 days a week for quick lockout service in Allentown, Easton, and Bethlehem, Pennsylvania. Our Locksmiths can open any door, whether unlock a door of your vehicle, unlock a door in your home, or unlock a door to your office. We offer 20 minutes response time wherever you’re located in the Lehigh Valley, Pennsylvania. When you need quick lockout specialist in Allentown PA, you need a local and professional locksmith to come to your aid fast and avoid any damage to your premises. 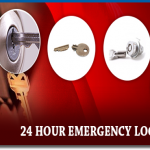 At the moment you need an emergency locksmith service, you want fast service. We can open almost every door whether automotive, commercial, or residential. We can pick almost every lock whether in residential property or commercial building. Calling LockTech24/7 locksmith is to be sure there is somebody who readies to assist you with a smile. When you need lockout service Allentown PA, dealing with LockTech24/7 is knowing that we can get you back on your day as soon as possible. Our locksmiths are driving a fully equipped working vehicle with a large inventory, advanced locksmith tools, and the latest technology. We can get you back on your day in no time, and at a fair price. LockTech24/7 is licensed, bonded, and insured to protect your property. At the top of our excellent customer service, we offer 3 months guarantee on labor and new security hardware installed on your doors. When it comes to safe and professional lockout assistance, we know you deserve better, you deserve the best!